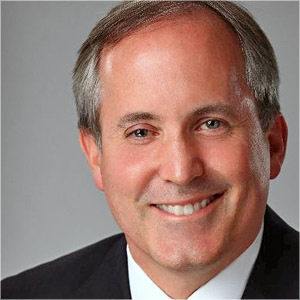 McKINNEY, Texas (CN) — A Texas judge delayed the May 1 criminal trial of Texas Attorney General Ken Paxton and agreed to move it out of Collin County, as prosecutors requested, claiming Paxton’s lawyers have tainted the local jury pool. State District Judge George Gallagher granted a motion for change of venue by special prosecutors Brian Wice, Kent Schaffer and Nicole DeBorde, all of Houston. The trio argued that the State of Texas cannot get a fair and impartial trial in Collin County due to an effort to taint the jury pool and discredit Paxton’s accusers. “Paxton’s posse of spokesmen, supporters and surrogates — a clique herein collectively referred to as ‘Team Paxton’ — has embarked on a crusade clearly calculated to taint the Collin County jury pool,” their lengthy motion for change of venue stated. Gallagher said at a Feb. 16 hearing that he would “at least try to choose a jury” in Collin County before moving the trial. He did not explain his reasoning for granting the motion in the 1-page March 30 order. Hours before Gallagher ruled, Paxton filed a 7-page response attacking one of the state’s exhibits: an invitation to a political fund raiser for Paxton in December 2013. Paxton said it was an invitation to a “run of the mill” political fund raiser that was held long before the prosecutors were appointed to the case. He said a change of venue is not necessary because of “no significant bias or preconceived notions” by potential jurors in Collin County. In a series of additional orders Thursday, Gallagher denied Paxton’s sealed motion to dismiss and set aside the indictment, disagreeing with his claims of prosecutorial misconduct. He also denied prosecutors’ motion for a continuance. Prosecutors say they have been working the case for 14 months without pay as the Fifth Court of Appeals in Dallas weighs a Paxton supporter’s lawsuit over whether their legal bills to Collin County are an illegal use of taxpayer money. The special prosecutors say only half of their $500,000 in legal fees has been paid. Paxton’s attorneys have accused the prosecutors of a money grab, and say their client deserves a speedy trial. Prosecutors and Paxton’s attorneys were not available for comment Thursday due to a gag order in place. The prosecutors have said the defense is arguing that Collin County should not honor its agreement to pay them for working the case. “It speaks volumes that not one of the 10 high-priced lawyers Mr. Paxton has hired can remember what they learned the first semester of law school in contracts,” the trio said in a March 13 statement. Paxton is represented by Dan Cogdell, of Houston, and William Mateja, with Polsinelli in Dallas.